Awesome monochrome car wall sticker of the iconic Mini Cooper. This vehicle wall sticker is applicable to any flat surface and is sure to improve the decor in your bedroom, living room, laptop, dining room and more! Available in 50 different colours and any size you might want. 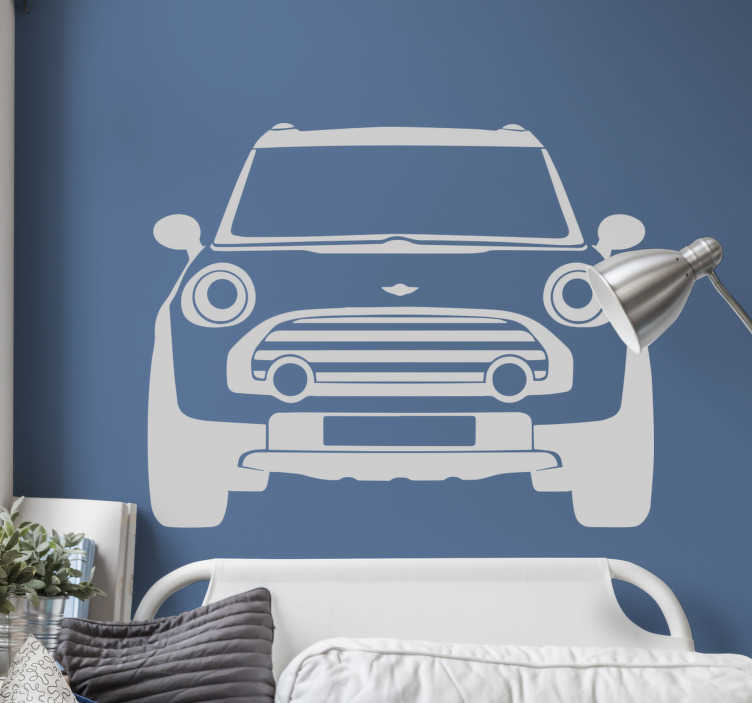 Amazing wall sticker of the great British car brand, Mini, just what you need for adding some style to the walls of your home or business.